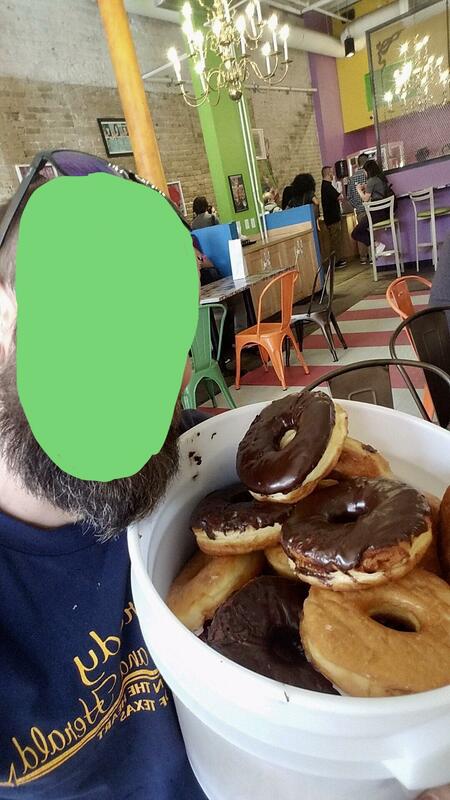 My brother somehow got a bucket of donuts for free. I asked what he was going to do with them. He said he just fed a bunch of homeless people.